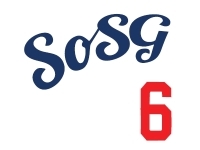 Sons of Steve Garvey: Post-Game 58 Thread: Who Are You? Who are you, Dodgers? In search of an identity, you've rolled over like a dying lamb the past two weeks, only to open up some unexpected whupping sticks this past evening against the Diamondbacks. With Rubby De La Rosa shifting from passable starter to batting practice pitcher in the fourth inning, the Dodgers decided to unload, with three-run blasts coming from ice-cold albatross Jimmy Rollins in the fourth (capping a five-run inning), and then Andre Ethier in the fifth. De La Rosa's line: 5.0 IP, 10 H, 9 ER, 1 BB, 4Ks, 2 HR. Meanwhile, Mike Bolsinger put up another quality start, 7.0 IP with 3 H, 2 ER, 2 BB and 8 Ks. The Dodgers went 5-for-8 with RISP and also had RBIs from Howie Kendrick (3-for-4, 2 runs) and Alex Guerrero (1-for-4, 1 run). Aside from an unfortunate injury to Justin Turner, who fouled a ball off his knee in the third inning, this game was perfect for the LA crowds...which included a couple of Sons from whom we are eagerly awaiting At-Game Recaps. Have at it, boys! Dodgers are the team that can't beat the Gnats and Cardinals. Until then they are crap.